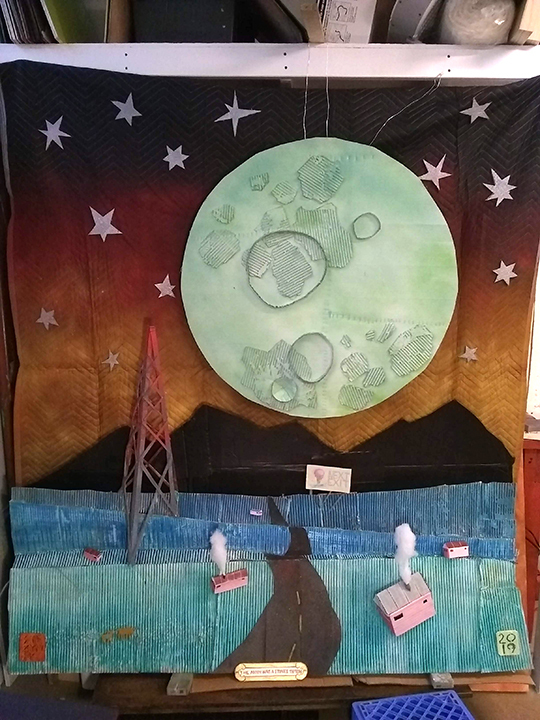 The Moon Was A Stones Throw, mostly cardboard and acrylic paint, shown here mocked up in my studio and installed in the Ann Arbor Art Center’s Aquarium Gallery during the month of January, 2019. An installation made of sod over a chicken wire form and paper machete hatchways. Originally shown at a show along side the sculptural installations of my friend Kendall Babl. Over the years I've made a hand full of these delicate houses from card board and sticks as gifts for my family.